A pressure washer is a handy tool around the house. As an alternative to big, bulky gas powered washers, electric models are more compact and can be quite handy. They range from big wheeled machines to handheld ones, with varying PSI to choose depending on your needs, and what sort of jobs you’ll use it for which may be light or heavy duty. 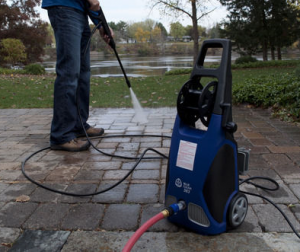 If you’re in the market for the best electric pressure washer, read the following reviews of the top five highly-rated brands guaranteed to offer value for your money. They all come under $200. If you need a compact and portable washer, then this handheld device is perfect your needs. There is enough power in this tiny machine to clean lawn and patio furniture. It comes with a 35 ft. power cord and a 19-inch hose. 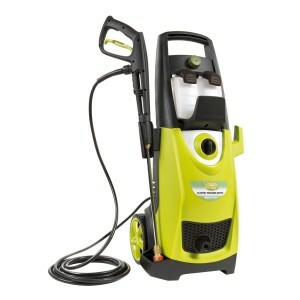 This inexpensive power washer features an instant start/stop motor which helps save electricity. It comes with interchangeable wands, depending on what you’ll use it for. With a swivel adapter, you can attach a garden hose. At 1350 PSI, it has enough pressure for round-the-house cleaning and car washing. 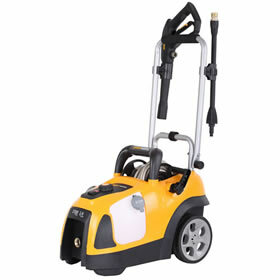 This pressure washer from Powerworks is efficient in delivering a steady pressure of 1700 psi. The pressure is good enough for most jobs around the job, in cleaning the whole house and car. This washer comes with a 35 foot power cord that ensures you cover a considerable surface when cleaning. A strap for hooking and looping the power cord comes in handy when you want to organize how you move without entangling yourself in a maze of power cord. It also has two tanks for soap which stores enough detergent to cover a considerable area during cleaning. Coupled with a 25 foot hose, the Powerworks washer will ensure that you reach all the corners that would have otherwise been unreachable with a shorter hose. The advantage of the Powerworks electric washer over the rest of the washers is its ability to utilize four tips and a turbo nozzle. 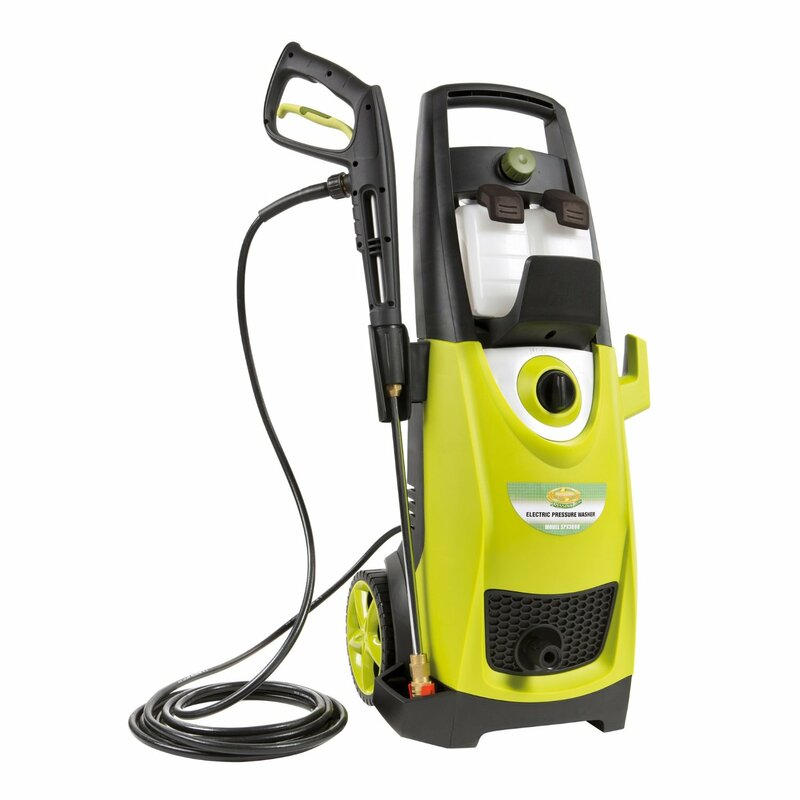 This power washer is perfect for heavy duty cleaning. It uses cold water. Weighing about 27 pounds, the device is also quite portable and has a total stop system that is economical on the power consumption. 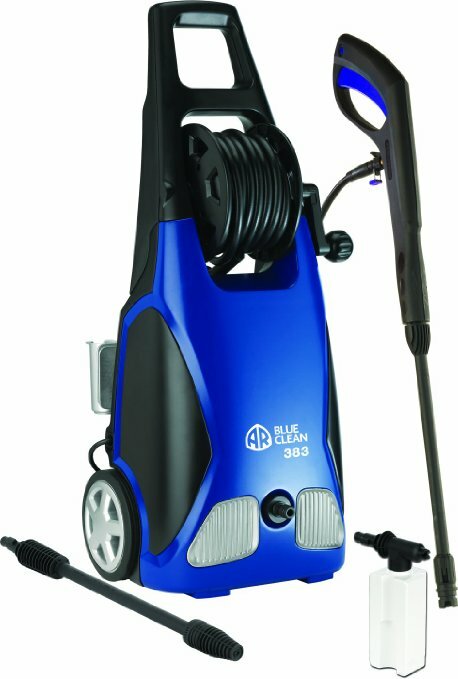 A 20-foot hose and a 30-foot power cord are an added advantage for large surface cleaning. The AR washer is also fitted with a hose reel which holds the long hose. The hose reel also has a hand crank that keeps the hose organized during cleaning. A universal motor runs this device. It is calibrated to work with 60HZ, 120 volts and 11 Amps. In the event of motor replacement, the spare parts are easy to find. This does not mean the machine will break down. It simply is an added advantage in the event of malfunction after the warranty period. The best advantage of the AR BlueClean washer is the adjustable nature of its detergent tanks, spray head, water filter, pressure hose and detergent injector kit. This flexibility ensures that you can tweak and tune the device to your washing needs. 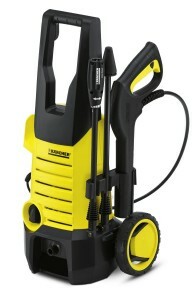 The Karcher electric washer is two-wheeled. It enables easy movement over various terrains. The washer also enables you to use pressures of up to thirty times your garden hose pressure. The noise and the power consumption are reduced to those times when the motor is running. Otherwise, if you are on some other cleaning duty, the trigger gun enables a total stop to all functions including the running of the motor. In order to apply detergent automatically, you only need to regulate the device to the lowest setting. This lowest setting gives an automatic command to the soap tanks to release soap via the siphon tubes onto the cleaning surface. The advantage of the Karcher model above the other electric washer is the ability to increase the cleaning pressure up to 50% by attaching a patented DirtBlaster spray wand. The light weight of the washer, 14 pounds and minimal storage space allows for space management in your garage. The ability to regulate pressure on this device makes it handy for both light and heavy duty work. This is possible through the adjustable power spray wand on the device. The Snow Joe washer delivers high pressure at 2030 Psi. 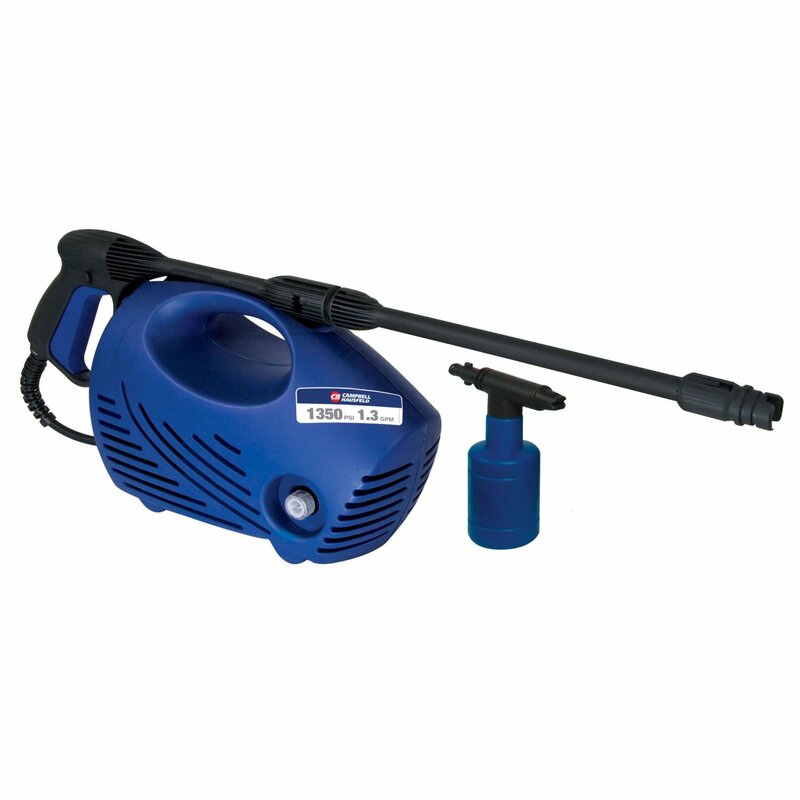 It works with a fitted motor of 1800 watts and 14.5 amps which enables a powerful water flow of up to 1.76 GPM, making it a heavy duty cleaner. Grime, oil stains, grease and other hard to clean stains such as heavy mildew stains on concrete and rust will come off easily when you use it. You can switch between different detergents when cleaning as certain detergents work well on specific stains. The Snow Joe ensures that you can control soap use to maximize result. A 34-inch wand for extended spray ensures that you have access to hard-to-reach areas. The best thing about the spray wand is that you can tailor the pressure output to suit your cleaning needs. The advantage of the Snow Joe over the rest of the washers is the high pressure level, twin soap tanks, and great customer support. 1. How dirty or messy is the area you need to clean? Pressure is one important factor to consider when making a purchase. Look at your needs. If it’s very messy or stained, a higher pressure model will be more beneficial to you. Power washers with lesser pressure will take more time cleaning messy spots and you will end up using more soap and water than if you use a heavy duty machine. Keep in mind that high pressure machines are really handy when it comes to removing stubborn dirt. 2. How big is the area to be cleaned? The size of the area you need to clean is also important. If it is large, then a hand held device will not come in handy. You will need a device that has wheels for easy movement. Portability or ease of movement is paramount in this instance. 3. How far is it from the power supply? Also consider the cord and hose length. You do not want to keep tugging at your power cord and unplugging it because your device won’t reach all the cleaning points. The hose will also frustrate you if it does not reach all the points you need to clean. Again, if your hose is too long and the cleaning area not too large, a wheeled device is more cumbersome than handy. In that case, better opt for a more portable handheld model.